ACE Digital Marketing will remove this stress and risk by writing your press release for you. This will be a press release guaranteed to pass submission guidelines. ACE Digital Marketing agency will then distribute your press release to more than 1,400+ Recognized Real Media Outlets. Our syndicated distribution has greater reach to more High Authority Media Outlets than competitor services like PRWeb can deliver. We’re not talking “Fake News” here, no this is the real deal. 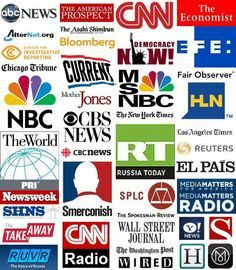 We see that your brand is published on the world’s leading authority News Networks like FOX, CBS, NBC, ABC, Associated Press, LexisNexis and more… BOOM. This means your Press Release is going to be found in more places, by even more people, grabbing more attention than ever before. You are your brand! It is monumental for you to create the excitement and have a presence on the internet via all applications. We offer a very affordable PR Agency Service. Through our international network of expert writers and PR distribution Network we guarantee results.